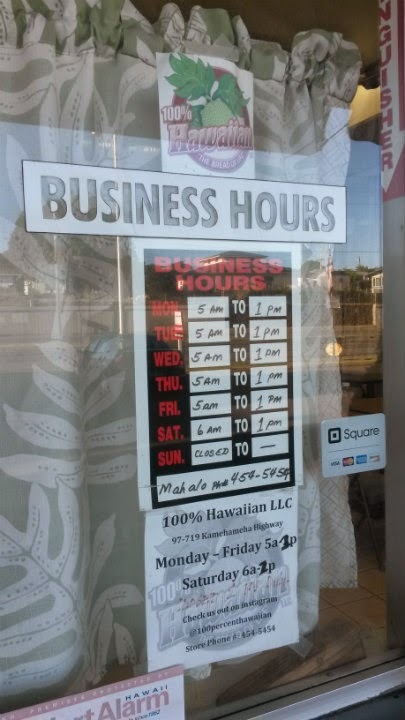 100% Hawaiian LLC is located on Kamehameha Highway in Pearl City, Hawaii. 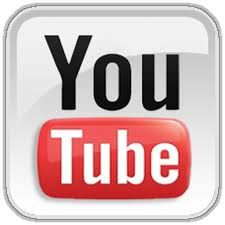 I admit I nearly forgot to post my review on this place. 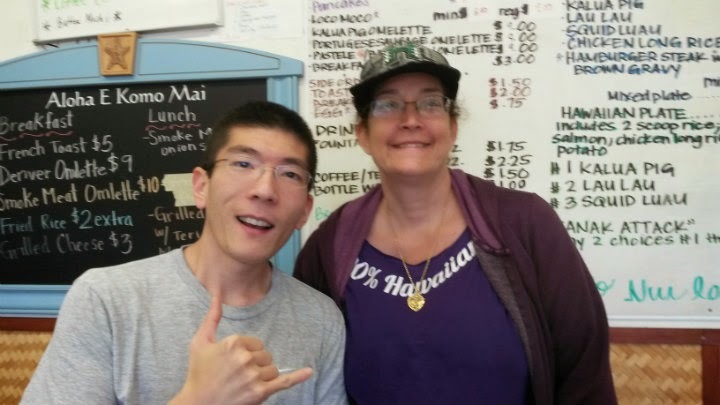 I had briefly spoken with one of the owners (Stephanie) about my blog, too. I apologize if she was expecting my review sooner. The inside is warm and friendly. 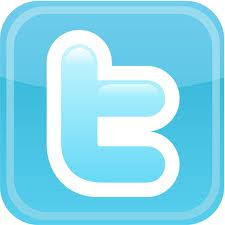 Love the counters. 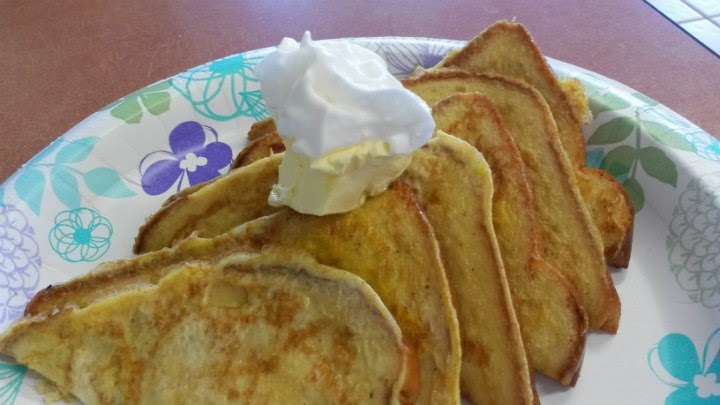 It was my last day of a two-week stay, and I wanted a good breakfast before heading back on the plane. 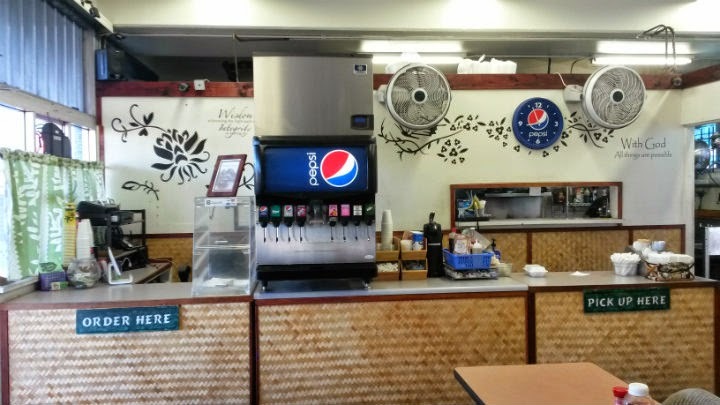 A typical Hawaiian-style breakfast or lunch spot. 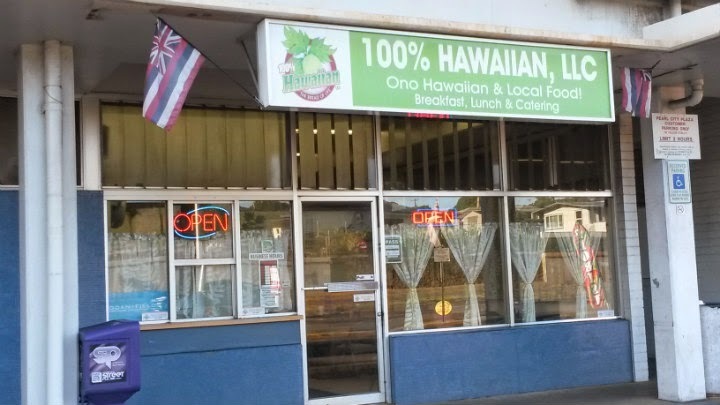 It has traditional Hawaiian meals and other local-style options. 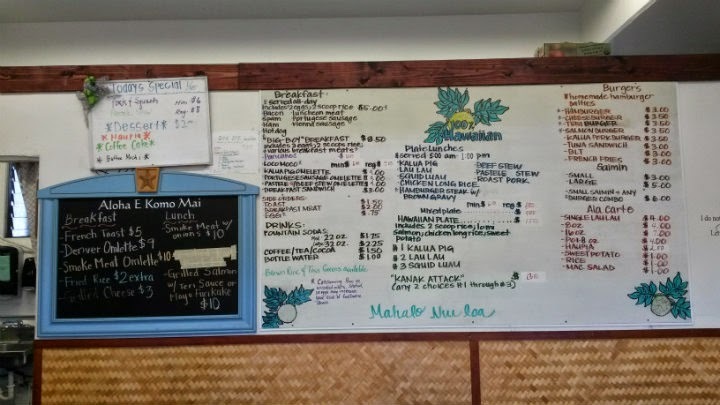 It's a good place to go if you're wanting a taste of Hawaii -- or introducing a first-timer to the Islands. 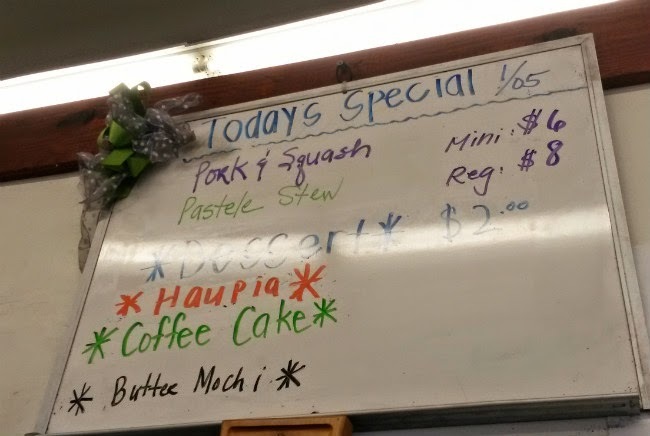 I love that this place is a small, family-run business. 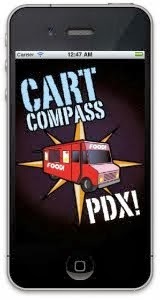 This business started in 2007 with a food truck and catering. It made the leap to brick-and-mortar in the past 2-3 years. 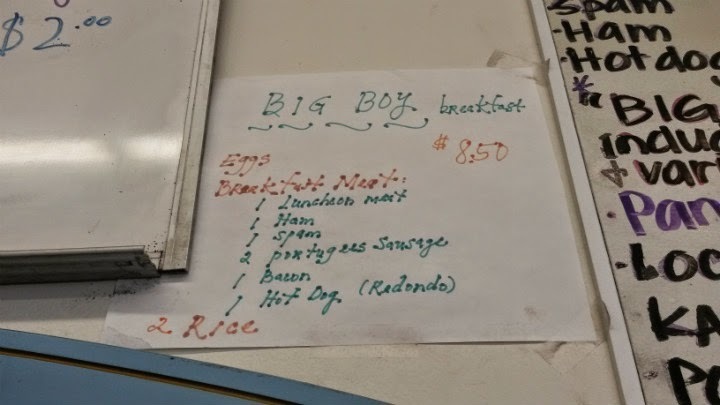 I'd get the Big Boy Breakfast ($8.50) for starters. 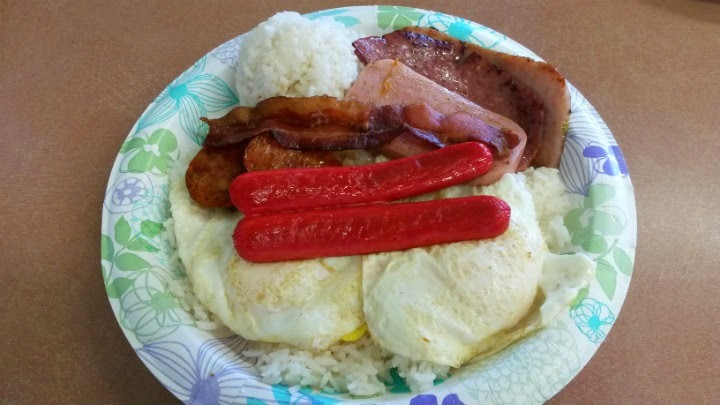 Three eggs, two scoops rice, several types of breakfast meats (luncheon meat, ham, spam, Portuguese sausage, Redondo's hot dog, and bacon). 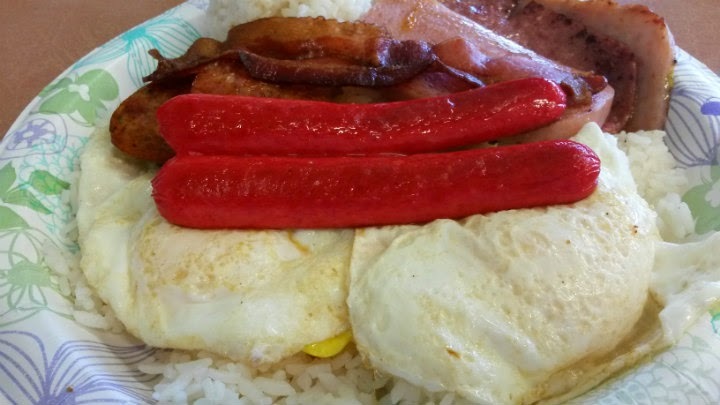 It probably will fill up the average person, but I'd consider ordering a couple for myself -- and then be in kanak attack mode the rest of the day. Perfect overeasy eggs, as I requested. 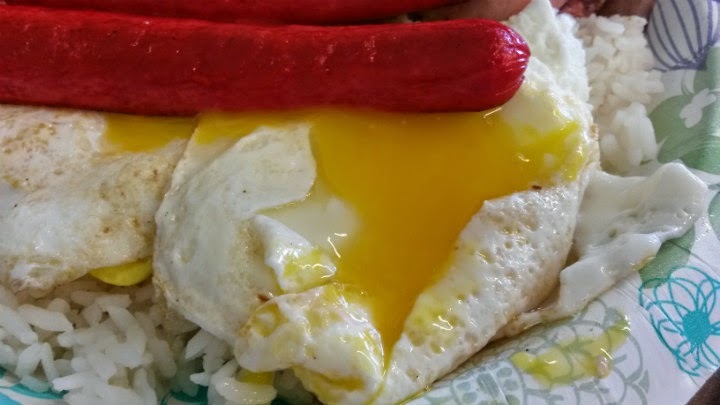 Of all the meats, the Redondo's hot dog brought back the most memories. Happy panda. 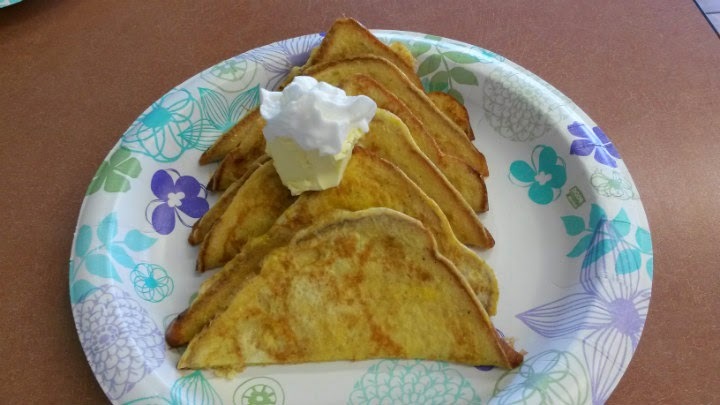 I also got their French Toast ($5), six rather small half-slices. Probably would be an nice appetizer for me. A bit on the dry side. 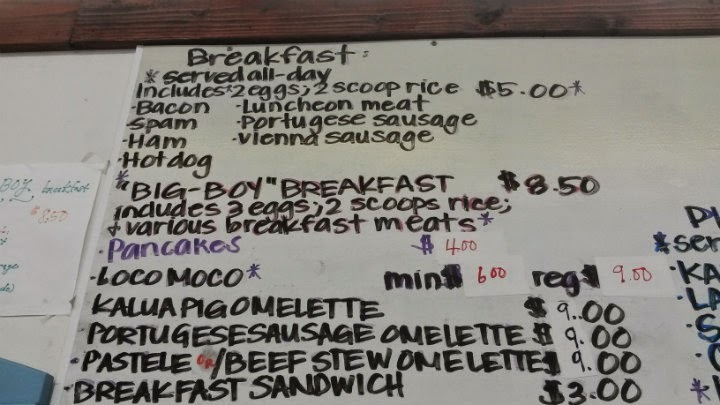 After the Big Boy Breakfast, I was likely craving more savory items anyway. 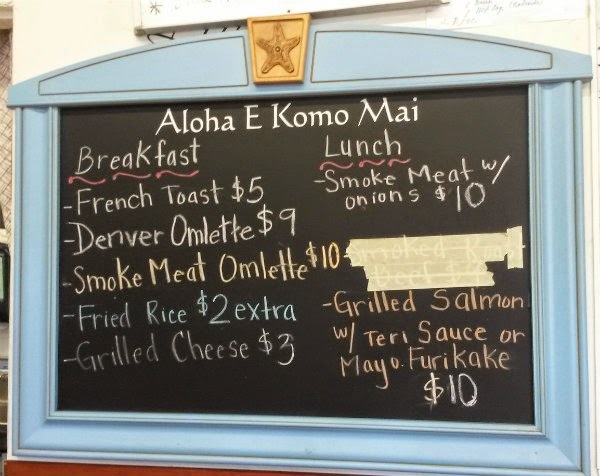 Other breakfast menu items for next time include their Loco Moco ($9 regular), Kalua Pig Omelet ($8) and Portuguese Sausage Omelet ($8). On the lunch side, a few mixed plate options stand out. 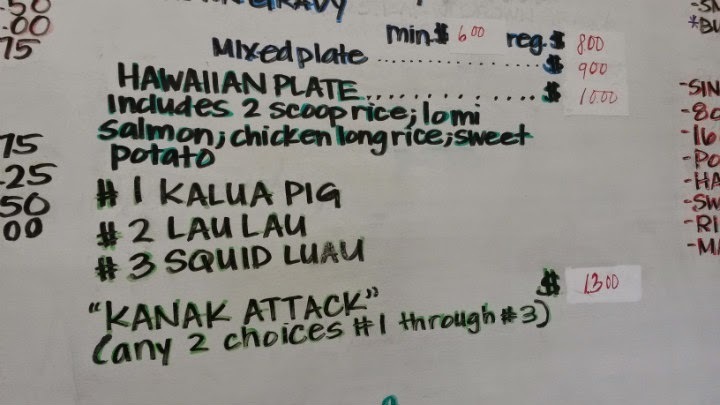 I'll take the Kanak Attack ($13) for sure. Kalua pig, lau lau, long rice, lomi salmon, sweet potato, and rice.